Cellfina, the newest FDA-cleared treatment for cellulite, is set to launch at SkinCare Physicians! Developed and pioneered at our dermatology practice near Boston, Cellfina is the only minimally invasive FDA-approved treatment for the long term improvement of cellulite. Much of the clinical research was performed at SkinCare Physicians. 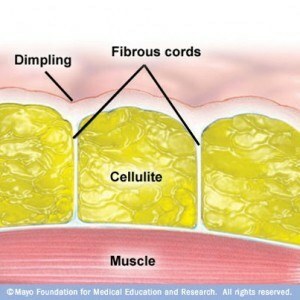 We now know that cellulite is caused by fibrous cords under the skin that pull down and cause the disturbing dimples. Cellfina’s technology safely takes care of the underlying causes of cellulite by cutting the fibrous cord and relaxing that subdermal tension. Data from the FDA study we did showed that 94% of patients were pleased with their results. There were zero long term complications, and recovery was complete within 48-72 hours. Put simply, participants loved the treatment! While Cellfina has been approved by the FDA, clinical research is not over. SkinCare Physicians is one of the lead sites in what is known as the CRUISE registry study, which will evaluate over 100 treatments performed and spread across 13 sites in the United States. Because of our long standing interest in cellulite and our research capabilities, SkinCare Physicians was chosen as the lead investigative site for this pivotal study. Furthermore, SkinCare Physicians will be the training center for the other 12 sites. This is because nearly all of the scientific work and protocol development that led to FDA approval was performed at SkinCare Physicians over the past five years. We will begin enrolling patients for this study immediately. Cellfina works best for dimpled cellulite of the buttocks and upper outer thighs. If you or a friend are bothered by this type of cellulite, please call us at 617-731-1600 to schedule a consultation with Dr. Michael Kaminer. Dr. Kaminer is one of the principal investigators in the study, and will be performing all of the initial treatments. The launch date for Cellfina worldwide is scheduled for April, 2015. However, SkinCare Physicians has been selected for this November 2014 launch, and we are pleased to bring this unique procedure to our patients.